Some great music has come out of Boston over the years: the vanilla-smooth flow of James Taylor, The Rolling Stones hybrid Aerosmith, the criminally under-appreciated Cars and the game-changing sounds of The Pixies. We also cannot forget a bunch of dudes from the ’70s with killer perms and beards that named their band after the city. The people of Boston are a passionate bunch—they support and protect their own. If you’ve earned your place in Boston, you’ve earned your place nationwide. 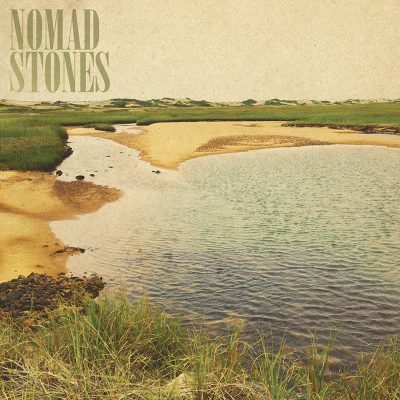 The latest sons spit out from the commonwealth of Massachusetts are the brass-knuckle-punch of a band, the Nomad Stones. The late-’90s record label Hydra Head Records, a label that specialized in extreme metal music, helped spawn the Nomad Stones. The band consists of Adam McGrath and John Robert Conners (Cave In, Zozobra, Doomrider and Goatsnake) as well as bassist Erik Szyska. The best kind of record labels create a close-knit tree of musicians that continuously reach out to each other and share talents and ideas. In the end, it is a healthy system that allows its musicians to put their guards down, swap genres and stick their toes into other people’s swimming pools—different sounds, same party.